Guo was allowed his first meeting with a lawyer in November 2013 after three months in detention and a 25-day hunger strike. He told his lawyer that authorities were accusing him of being the mastermind behind rallies in January supporting journalists at the Southern Weekly newspaper who were protesting censorship. 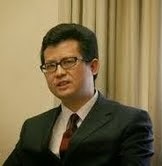 In March, Guo was one of the organizers of a signature campaign urging China’s legislature to ratify the International Covenant on Civil and Political Rights. Guo is a prominent rights defender who is active in the New Citizens Movement calling for greater government transparency and an end to official corruption. In 2013, at least 60 people associated with this movement have been detained and at least 30, including Guo, have been arrested. Guo, who had worked as a legal advisor in Gao Zhisheng’s law firm, had previously been detained for 15 days in April 2005, for “gathering a mob to disturb social order” after applying for permission to stage a May 4 demonstration. He was criminally detained in September 2005 for participating in rights defense campaigns and was kept in custody until December. Guo was also detained and beaten in 2005 and 2006 for helping residents in Guangdong’s Taishi village in their attempt to unseat corrupt local officials.